I know you’ve all been anxiously awaiting this post. What dessert did she make to go with her slow-cooked pork shoulder and spicy coleslaw? What could it possibly be?! Well, I hope you’re ready for this! To round off my southern meal I asked myself: What’s southern? Peaches. Where do peaches come from? Georgia. Where do I live? England. Can I get peaches in England? Yes. Are they any good? No. Right, good decision for a dessert then! I first saw this dessert on “Barefoot Contessa” a million years ago and it was the first thing that came into my head when I decided to use peaches. 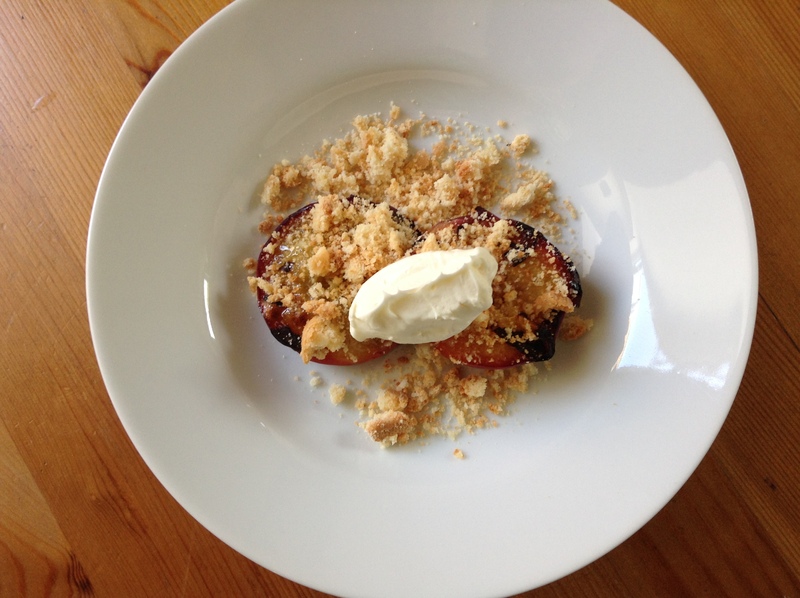 The saving grace of this recipe, for those using less than ideal peaches like me, is that you grill the peaches and then cover them with amaretti cookies and mascarpone. Thus no one could see the massacred pulp of what used to be a peach before I prized the pit, which appeared to be super glued in, out of the slightly overly firm flesh. On the plus side, all the squeezing and twisting softened the peaches up a little. After grilling, they got covered liberally with vanilla sugar – you can drizzle them with rum too if you want, but we were out. Simply baking them for about 10 minutes in a moderate oven made them perfectly lovely to eat, especially covered in crumbled up amaretti cookies with the lovely sweet flavor of amaretto and whipped vanilla mascarpone – how do you like that quenelle, by the way? Watch out Raymond Blanc! Ok, not quite, but let’s not nitpick. This was absolutely delicious, so imagine how good it would be with ripe peaches! 1. 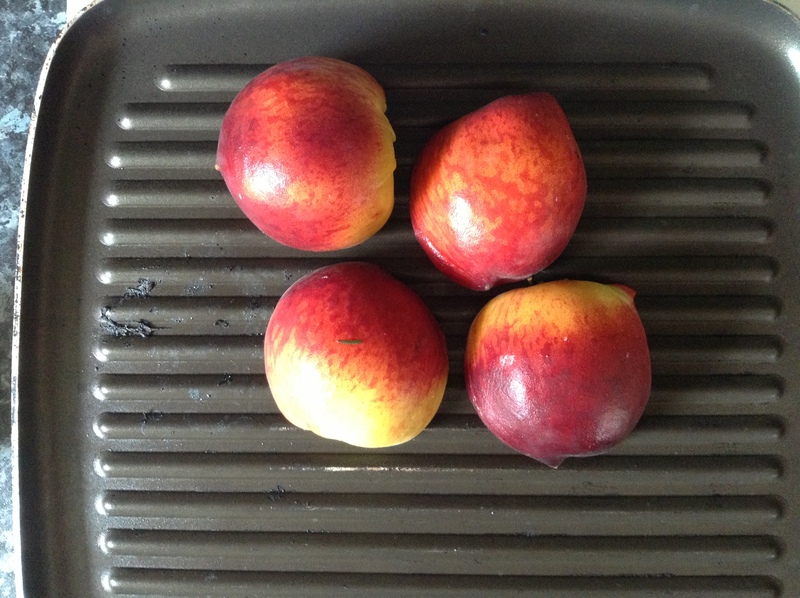 Halve and pit the peaches. 2. 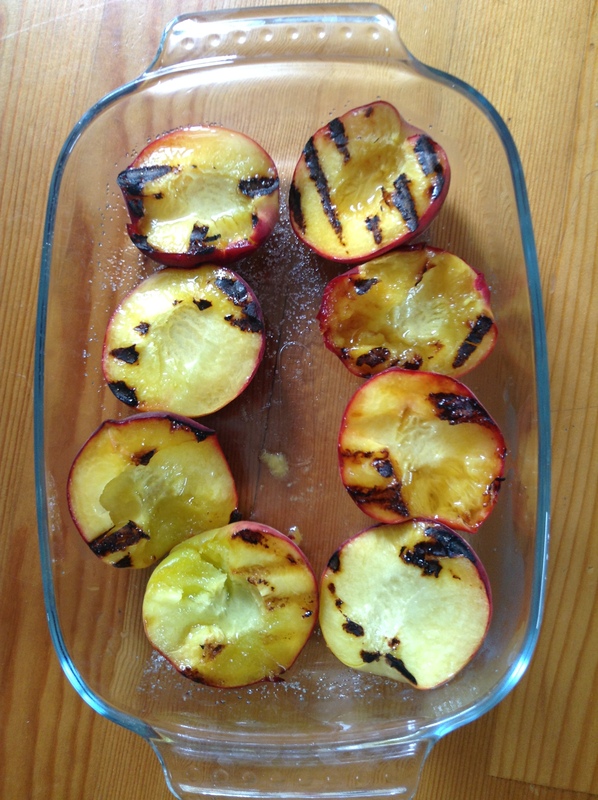 Grill on cut sides until grill marks appear and peaches are slightly caramelized. 3. 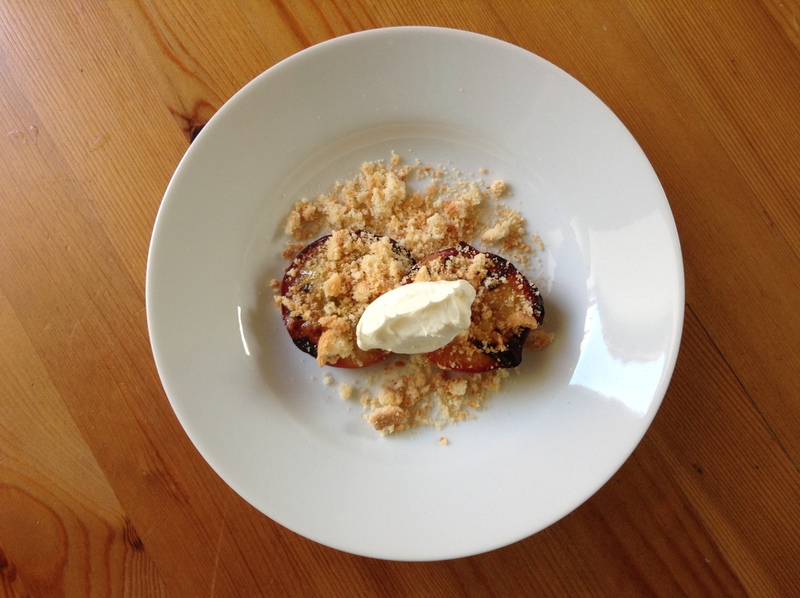 While the peaches are grilling, whip the mascarpone with 1 or 2 Tbsp vanilla sugar and rum, if using. Add vanilla extract if desired. 5. Bake at 350ºF (180ºC) for about 10 minutes, or until soft and warmed through. 6. 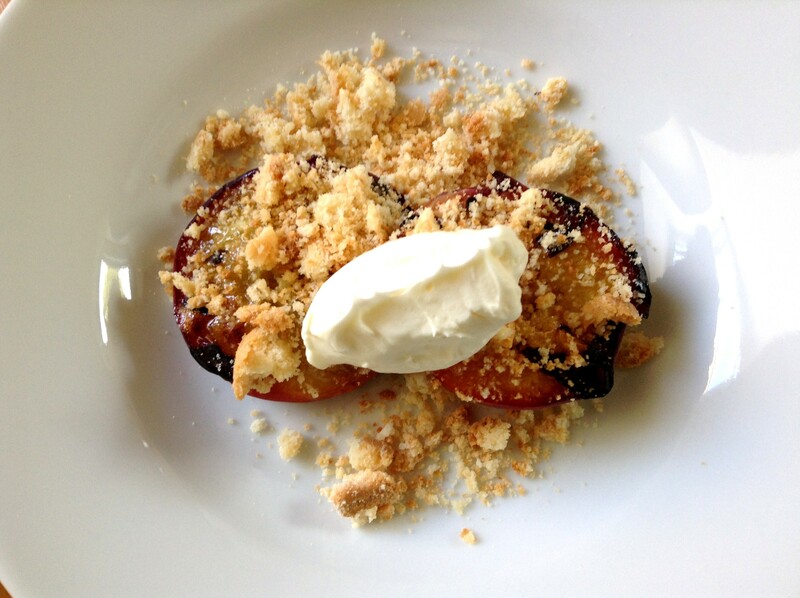 Fill each dish or plate with two peach halves and top with one or two crumbled amaretti cookies and a quenelle of mascarpone. Serve with more cream and cookies at the table because they will want more! I was thinking of making something like this tonight. It’s a perfect summer dish. I love the mascarpone! I can’t wait to try it! Let me know how it comes out and what you do differently! Hope yours are easier to stone than mine were!